CrowdstormsTM enable you to innovate products and services faster and more successfully. With a highly motivated, individually curated team. We believe you wont find the greatest minds solving your innovation challenge just next door. 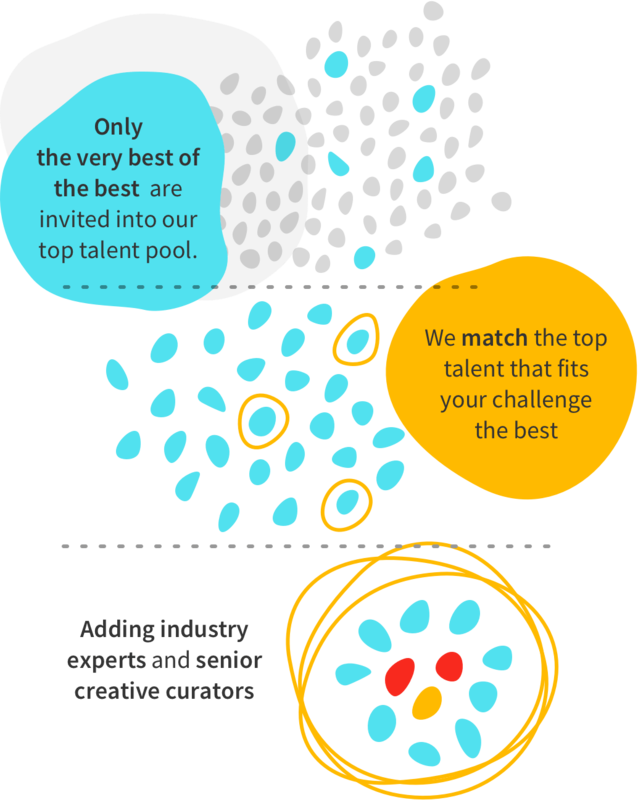 At jovoto we have worked with more than 120.000 talents globally and building upon our data and experience we curated a top-talent pool of just 10.000 forward thinking collaborators with individual backgrounds, skills and experiences. For your challenge our talent curators individually match talent adding the right mindset and skillset to build the strongest team possible to solve your problem. through platform and values based approach. Today’s generation of talent has a fundamentally different understanding of work, life, and consumption. a critical ingredient to solving complex problems. Creatives and experts will challenge each other, give one another feedback to take concepts and ideas to the next level. by providing tailored formats to meet your individual demands efficiently. Spark level ideas are the perfect mode if you are looking for inspiration! Sparks fly in all directions. 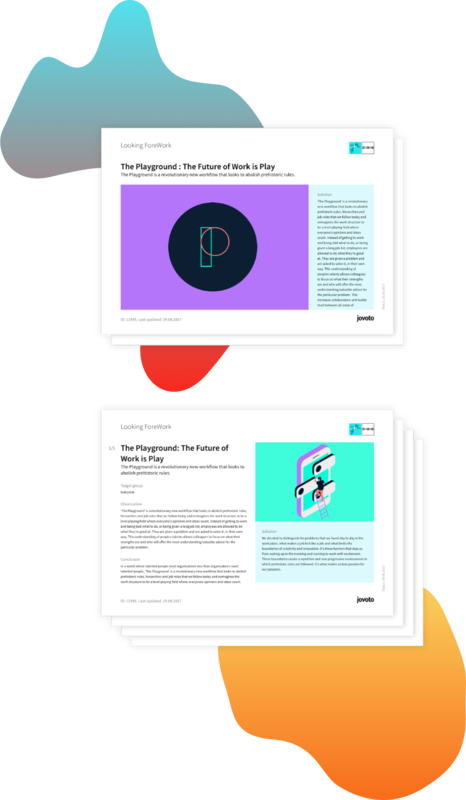 These quick, impulsive ideas offer an array of starting points and provide a great overview to understand general directions of innovation tackling your specific problem. Approaches sketch out possible ways on how to solve a challenge based on defined parameters or questions. Approaches are aimed at proposing feasible solutions to challenges based on specific insights. Often Approaches build upon a general direction of innovation idenified through Sparks. A Concept is an in-depth, ready-to-implement solution proposal. It is suitable for clearly defined goals in terms of product or service design needs. Contact our consultants to understand whether you have all questions sorted out to boost your creative direction with Concepts. By sketching out multiple directions based on your customers true needs. Creating multiple concepts to map your future products or services, every step we take is based on observing your customers’ needs. But exploring 100hds of potential solutions is worth little if you are not able to identify the very best one. To keeping your customer’s needs and other key factors (e.g. feasibility, brand fit) in mind, while evaluating the entire array of potential solutions we are working with highly experienced experts and strong partners. 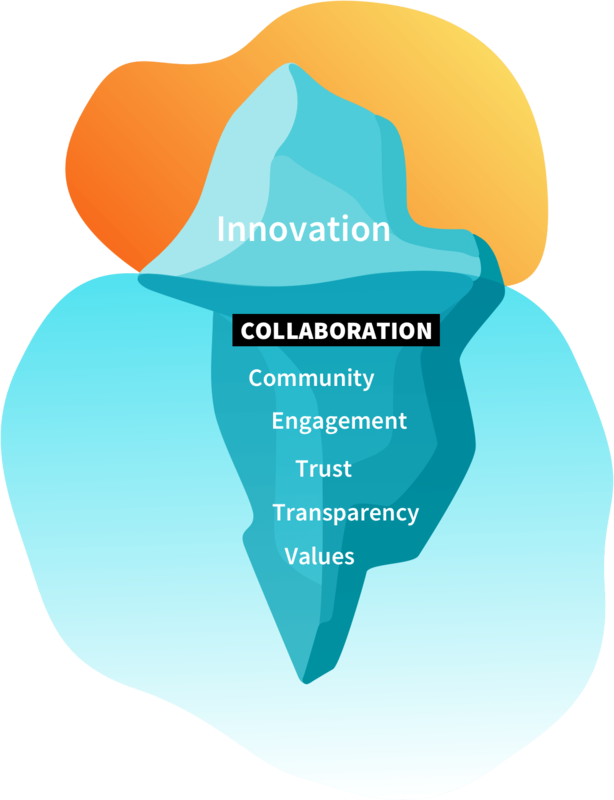 Get our newsletter for the latest on crowdstorming, open innovation, and the future of work.